Sharing on social media is supported in this group. Post under the weekly share thread to be shared to The Wellness Universe’s social media machines and pick up and drop off your shares for social media. This includes memes (posters), blogs, videos, etc. You can also post questions or tips regarding social media as well as in the Business Buzz, but please only post in 1 group. Let’s create a beautiful poster with your original quote. 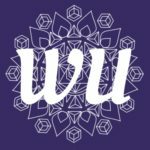 We share posters with your quote on the WU News Feed, and our social media pages. – Not all quotes are guaranteed publication. – Quotes submitted must be edited for grammar and typo free. – Quotes will be randomly selected and you will be notified as a ‘reply’ to your comment if we will be using it. – After we have enough submissions for the week, we will close the topic thread. A new one will be posted for following week. *****You will be tagged when your poster has been shared on the WU, and the url to the original post will be included so that you can share. Reiki & Pranic energy healing can be done over long distances. Time & space are transcended by the practitioner. Earthbound Spirits are souls who have attachments to the Earth and/or to us. We can end these attachments using energy healing.